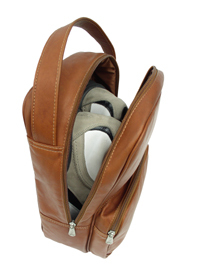 FEATURES/SPECS You're off to play a round of golf, don't just throw your valuable golf shoes into an ordinary bag when you can have luxury. 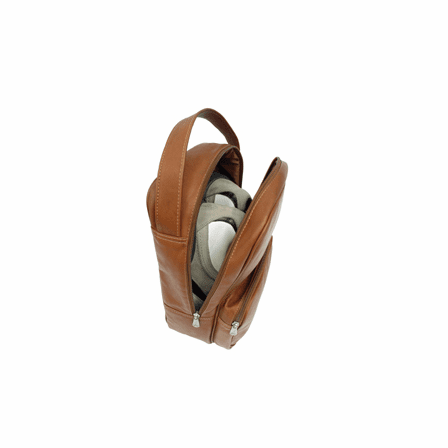 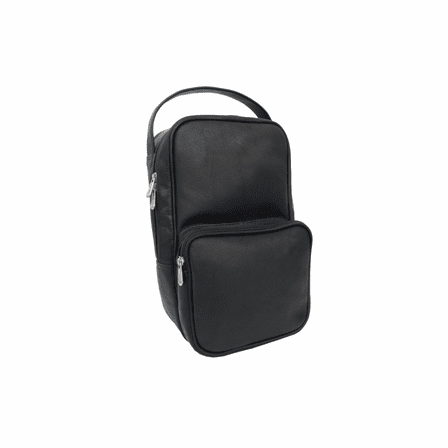 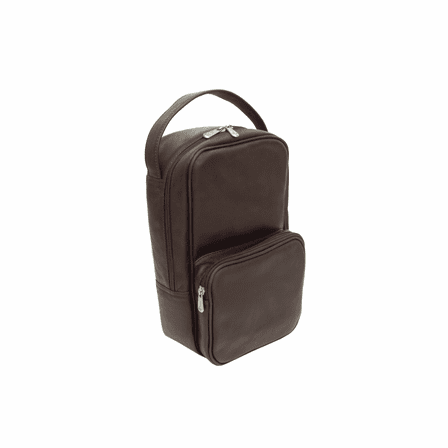 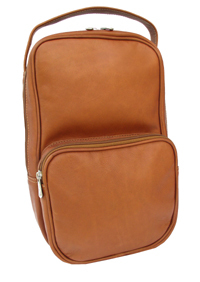 This genuine leather golf shoe bag is made into a large "U" shape with a zippered opening for easy access. 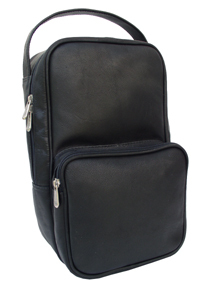 It also features an outside zippered pocket for valuables and an easy-to-carry handle. 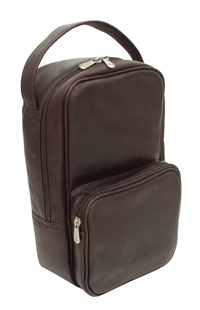 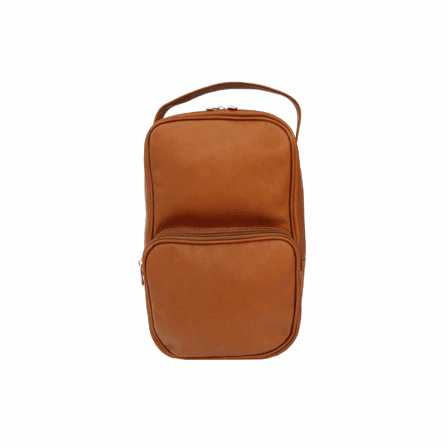 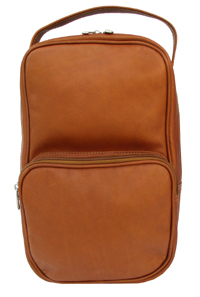 The durable, yet supple leather comes in your choice of classic black, rich dark brown, or soft light brown. 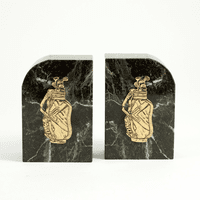 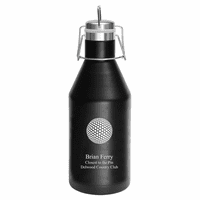 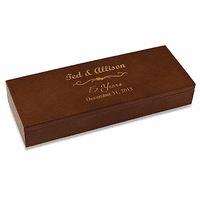 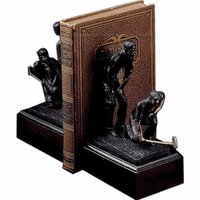 Add free personalization with the embossing of up to three initials of your choice, a customized golf gift for someone special.